From either “Ueno (Park exit)” or “Uguisudani” stations. From “Ueno” station on the Ginza and Hibiya subway lines. From “Nezu” station on the Chiyoda subway line. From “Keisei-Ueno” station on the Keisei electric railway. From “Yanaka” bus stop on the Toei Bus(26 Kameido-Ueno Park). *Megurin: Taito city circlar route bus. 4 Factory Complex (A) Bld. 9 nternational Resource Center of the Arts (B) 19 Building III 29 Arts & Science LAB. 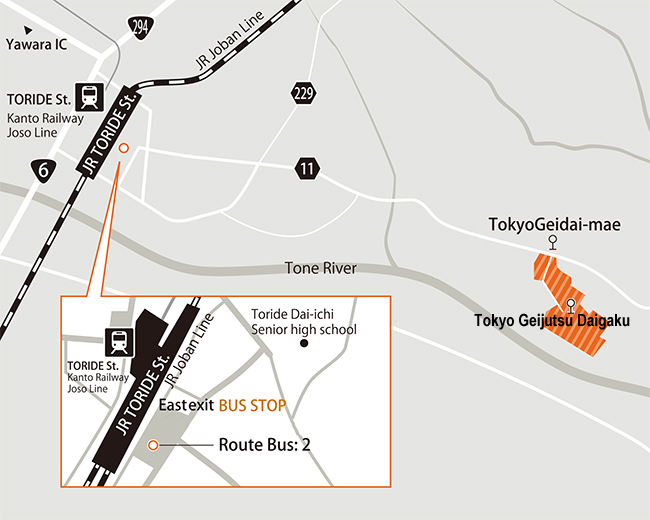 15 minute ride on the Otone Kotsu Bus from the East exit of “Toride” stasion on JR Joban Line to Tokyo Geidaimae bus stop. 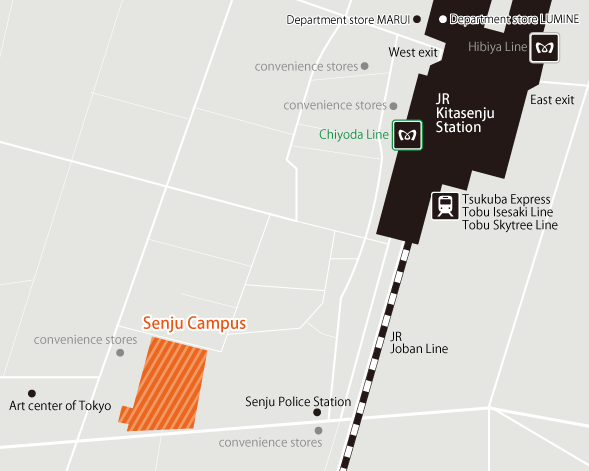 *Toride campus is about 5.9 km (about 3.7 mi) from JR “Toride” station. 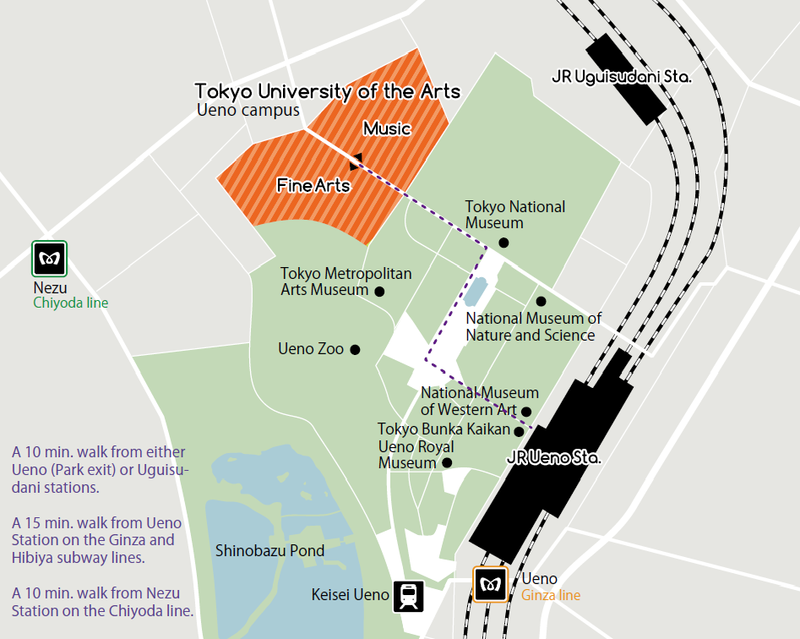 *JR Toride station is 40 minutes from JR “Ueno” station on the Joban Line. 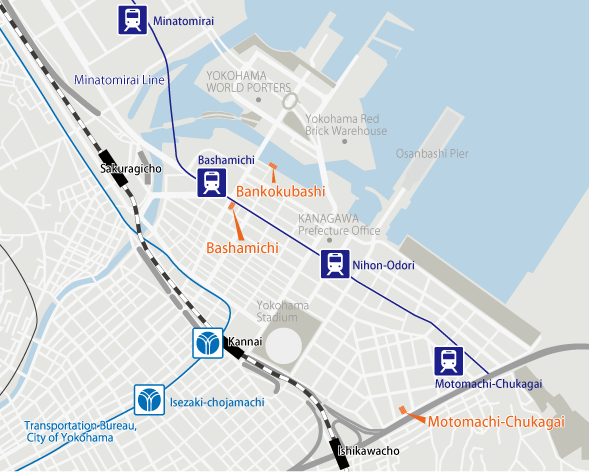 From “Bashamichi” station on the Minatomirai subway line. From “Kannai” station on the JR line. From “Kitasenju” station on the Hibiya and Chiyoda subway line. From “Kitasenju” station on the JR line. From “Kitasenju” station on the Tsukuba Express (TX). From “ShinMatsudo” stasion on the JR Joban Line. From “Minami-Nagareyama” station on the JR Musashino Line.